the TBE library at 10:00am. Consider joining us for prayer, chanting and learning. for lunch in honor of her Bat Mitzvah. 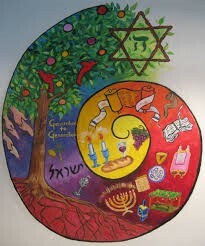 for a Kabbalist Jewish Renewal Shabbat. "The Little Shul in the Galleria"
On Saturday, February 16th, Our minyan will be led by our members. Join us to discuss this week's parsha, lift our spirits and enjoy a sweet shabbat. 10:00 am in the TBE library. at 10:00am in the TBE library.